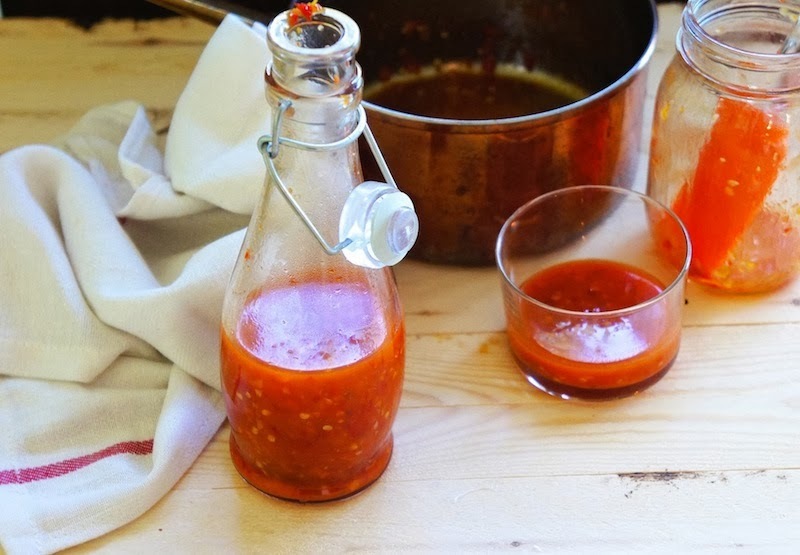 This Sweet Chili Sauce is a breeze to make at home. It is delicious on chicken, or as a dip on any of your favorite grilled meats. 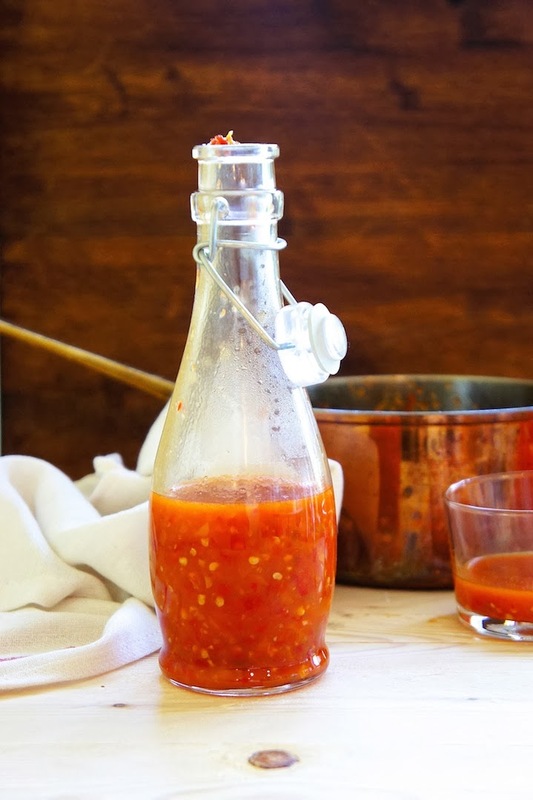 You should try it with my Sweet Chili Chicken Wings or use it as a spice for my quick and easy Peanut Sauce, that I will share soon. Process chilies and garlic until you have a coarse paste. Combine rice vinegar, palm sugar, sea salt, and chili paste and bring to the boil. Mix in corn flour mixture, stir, and lower the heat. Let it simmer for about 5 minutes. Remove from the heat and allow to cool before serving. No wonder all my chilli sauce are watery, the secret is in the corn flour!! Thanks for the tips. Where did you get the mixed color chilies that you used in this recipe? I've tried searching in Safeway, Urban Fare and T&T Supermarket but couldn't find any. (Btw, I live in Vancouver) Thanks! Hi Nat from Vancouver :-) I bought the chilies from Osaka/TNT supermarket. You can use red chilies instead, they are available at Safeway & Wholefoods market. Thanks for the tip, Angie! I'll check out Osaka this weekend. Can't wait to try this chili recipe out! Thanks for the tip, Angie! Will check out Osaka supermarket this weekend. Can't wait to try this recipe out!